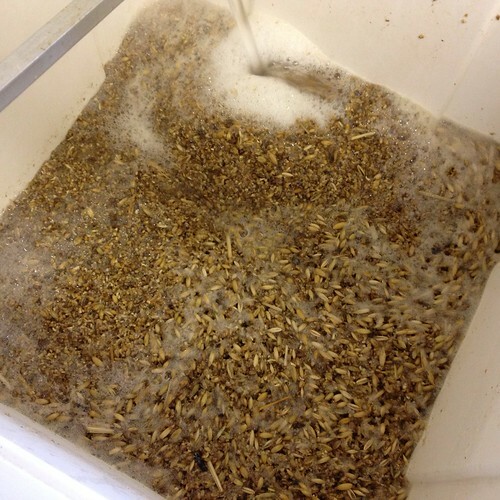 I’d have preferred to brew a big bad Amarillo Wheat like I did back in AG#36 but I figure this could be my entry into the NCB/Saltaire Comp on 13th April, I’ll be brewing again next week so I’ll pick the better of the two to enter. 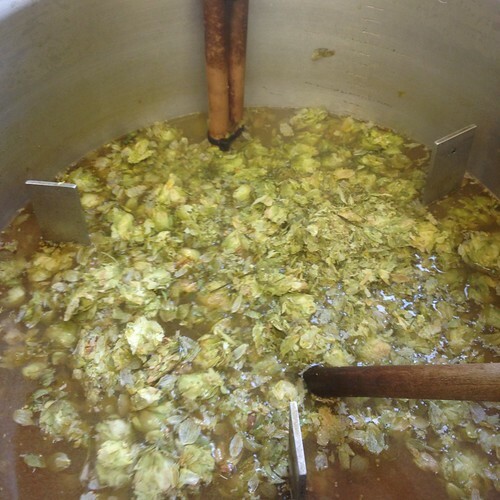 **Won’t be dry hopping, ferment-out & bottle as soon as possible. Liquor Treatment: General Purpose copied of a previous Brewsheet of similar Mash quantity & OG. I think you’ll agree that was a particularly poor photographic effort! 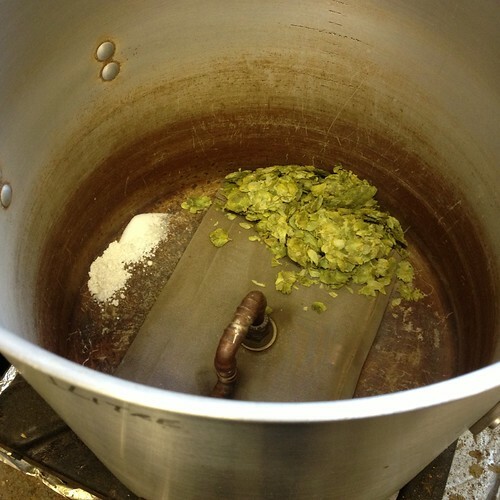 I wasn’t messing about and made this as easy as I could, it will be nice to have some Amarillo homebrew in stock again. 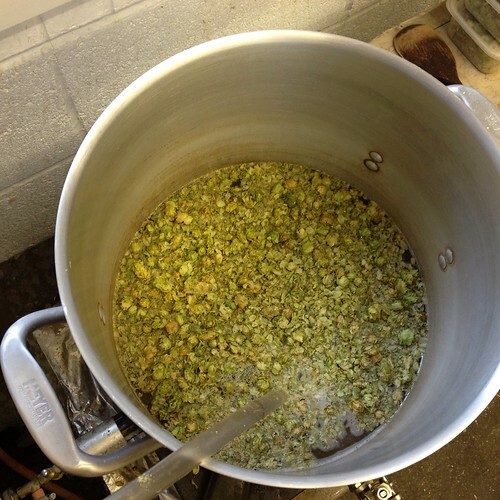 *2rd Mar ’13 – **I actually just dry hopped it with 1g/L of Amarillo Pellets 😉 I’d have regret it if I hadn’t, its should be subtle but add an element of freshness. 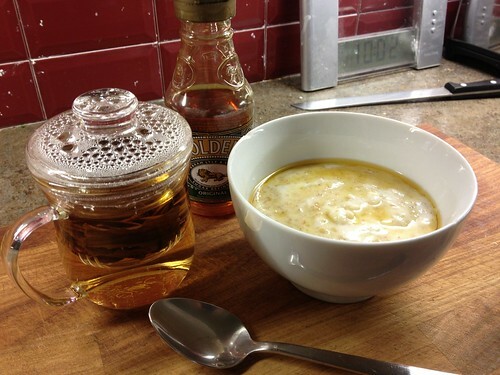 Hooded Embarrassment – Thought I’d try squeeze in a brew for the Revolutions Brewery ‘Competition’ so I’m going for something a bit different after reading something about a Mittlefruh IPA in Stan Hieronymus‘ new book ‘For the love of Hops‘. I could have sworn that I had a pack of Mittlefruh in the Hop-Freezer, sadly I didn’t but what I did have was a pack of Mount Hood hops which are an American grown relation of Mittlefruh. 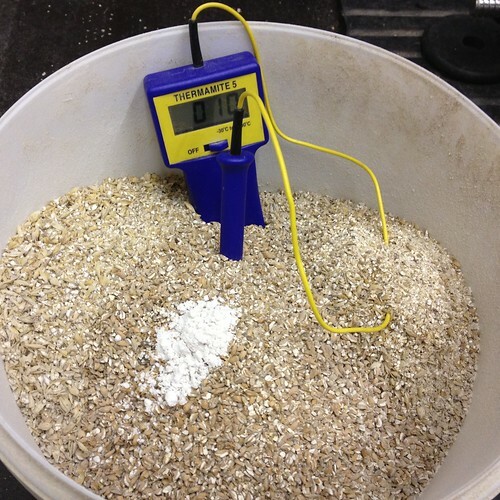 Vienna malt for some added maltiness and lots of carapils to retain body and hopefully balance the bitterness. I’ve had a nice bottle of Mallinsons Brewery ‘Aramis’ and I thought it had a good spicy bitterness to it so that is forming my bittering additions, I’ll dry hop with Mt. Hood as soon as its passed 1020-1015 in the fermenter, then try and get bottled in good time to allow for it to condition up and mature before it has to be judged. 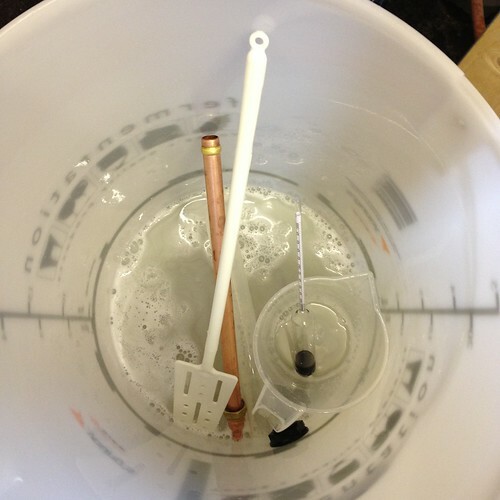 No mucking about today, the mash was on at 10.55 (68°c) and I’m all cleared up and typing this now at about 16.00, I could probably have been done quicker if I’d tried. Turfed out last weeks brew from the fermentation fridge and put todays brew in there set to 20°c, I’ll increase the temperature after a day or two to 21-22°c and hope to have it finished fermenting by the weekend. 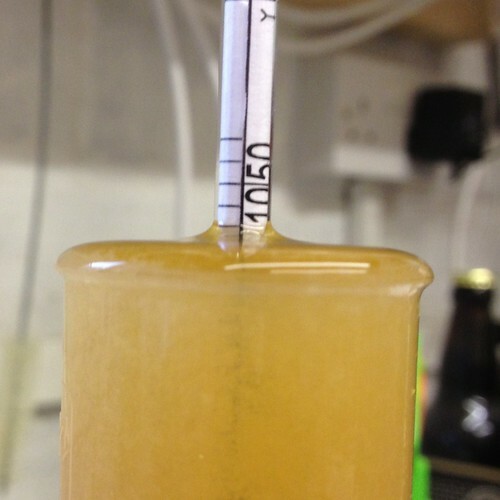 *7th Feb ’13 – Dry Hopped at approx 20°c with 40g Mt.Hood, giving a good stir in through the yeast head, Gravity @ 1017. 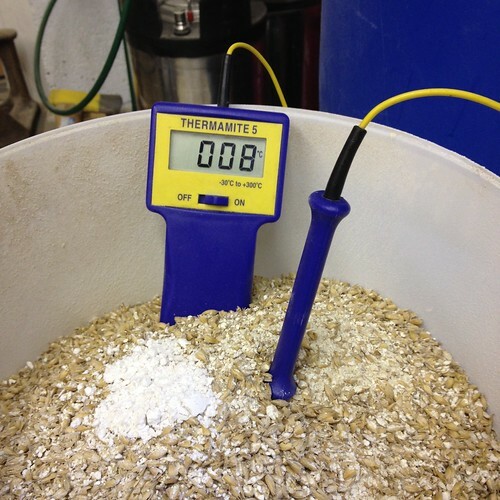 *Bottled 18th Feb ’13 – with 90g White Sugar. 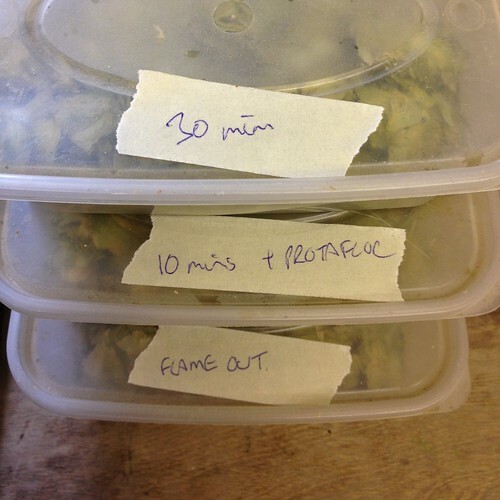 *22nd Feb ’13 – Early taster, a little green and slightly grassy, has a really solid spicy bitterness. *25th Feb ’13 – Taster tasting good, nice sessionable ale, no big brash hops just a balance of bitterness and spice with woody orange tones.